Big Brother by Kaya Spain Quality is a feminized cannabis seed that has its origins in the cross of a White Widow and a Black Domina. 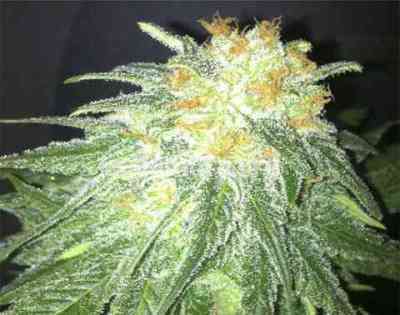 It is a small/mid-sized and sturdy Indica-dominant marijuana plant that produces generous crops of compact, resinous buds in a really quick and easy manner. Big Brother grows well both indoors and outdoors, particularly in dry/sunny/temperate/Mediterranean climates or under the protection of the greenhouse. Given its low resistance to moisture, it is advisable to monitor it in this regard, particularly during the last phase of the flowering. The flavour and aroma of Big Brother are pronounced, with hints of fresh flowers, sweet fruits and some sweet-and-sour touches. It provides a powerful and relaxing effect of long duration.